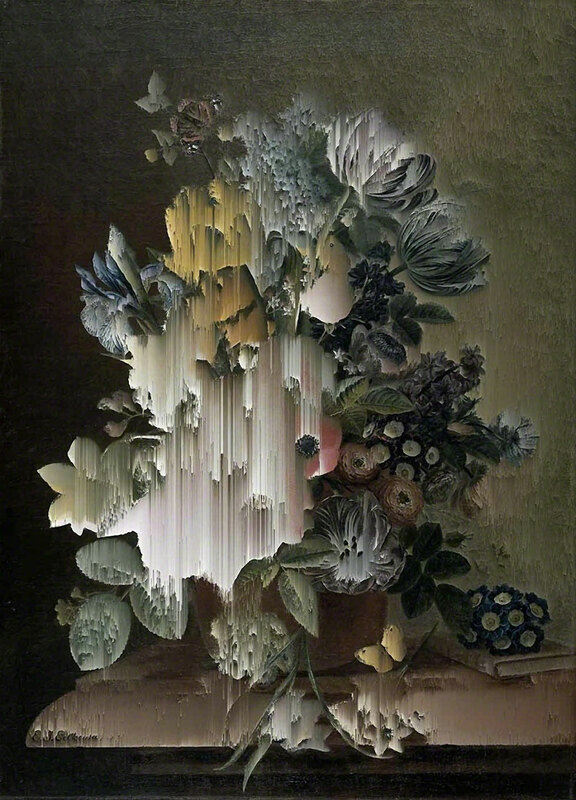 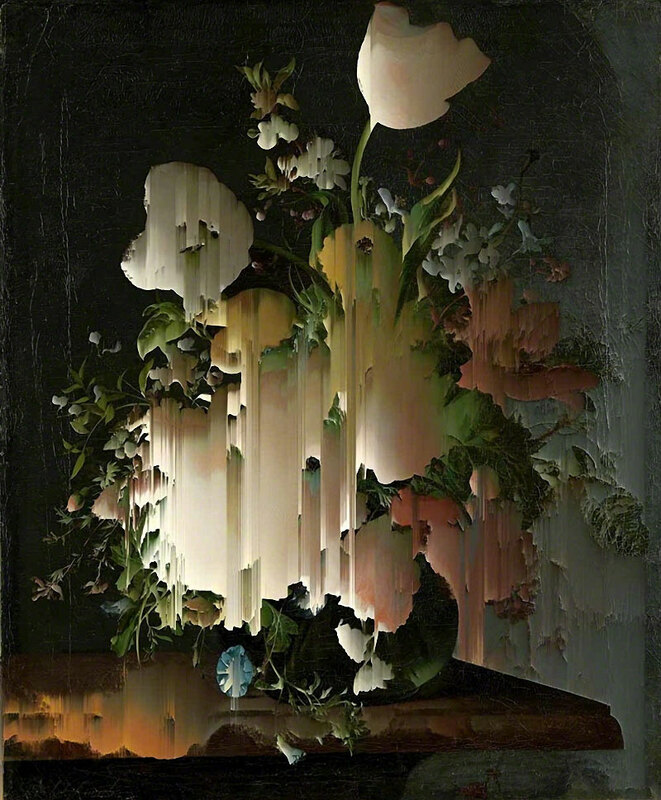 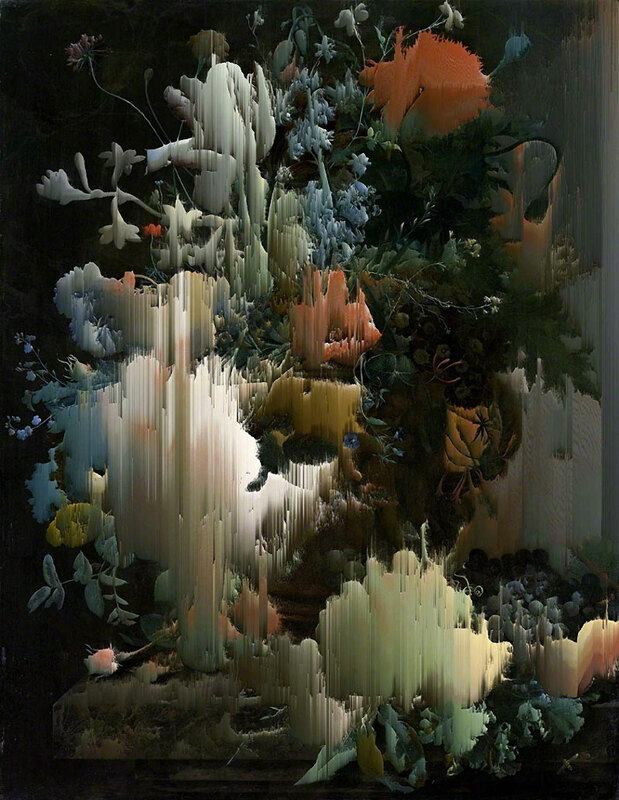 Photos of still life paintings executed in a trippy glitch aesthetic by London-based artist Gordon Cheung. 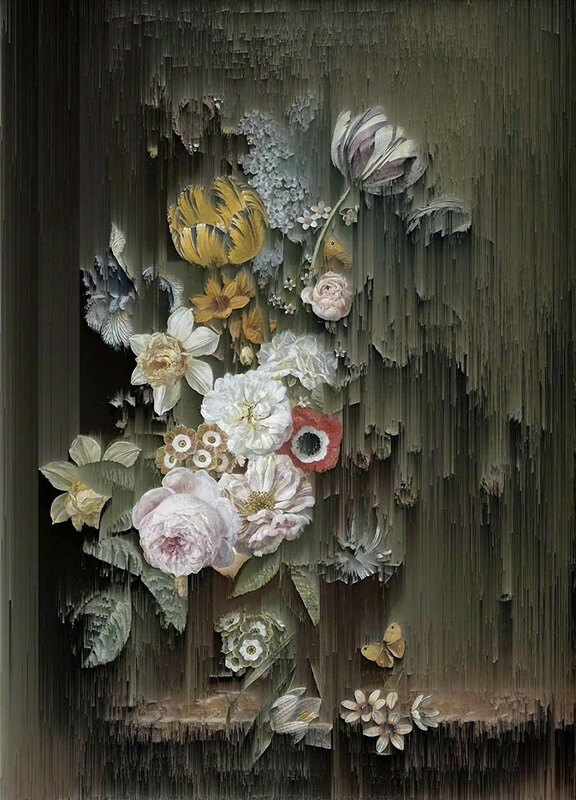 The artist selects several images from the Rijksmuseum’s open source library and uses an open source algorithm to render the photographs of the paintings into a kind of digital quicksand effect. 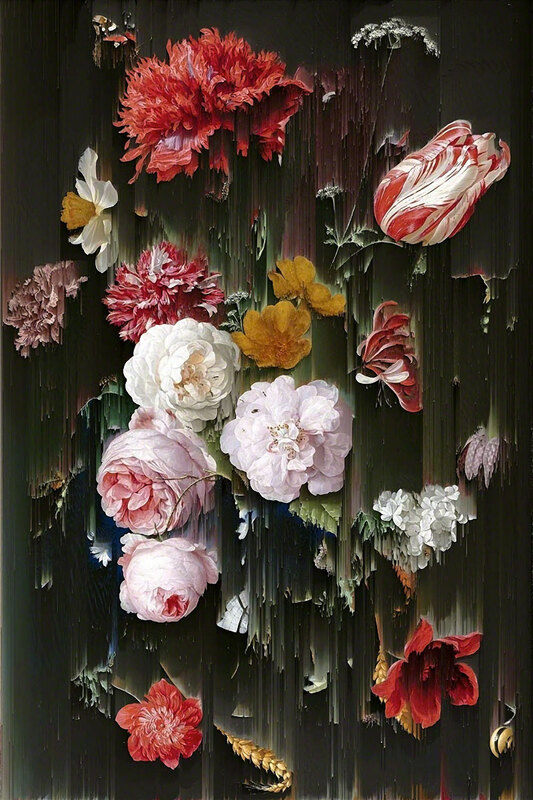 The algorithm essentially re-orders the pixels resulting in over 4,000 images. 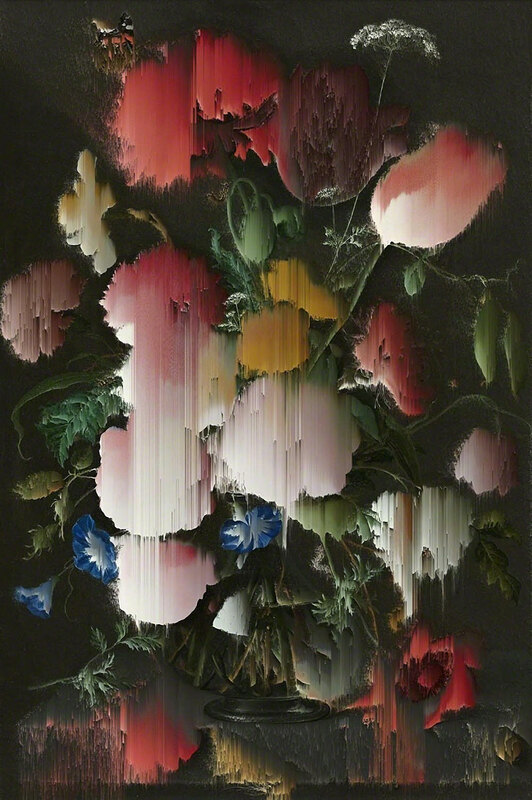 The archival inkjet prints are part of a series entitled Tulipmania that comments on capitalism, zeroing in on economic recessions of the past and present. 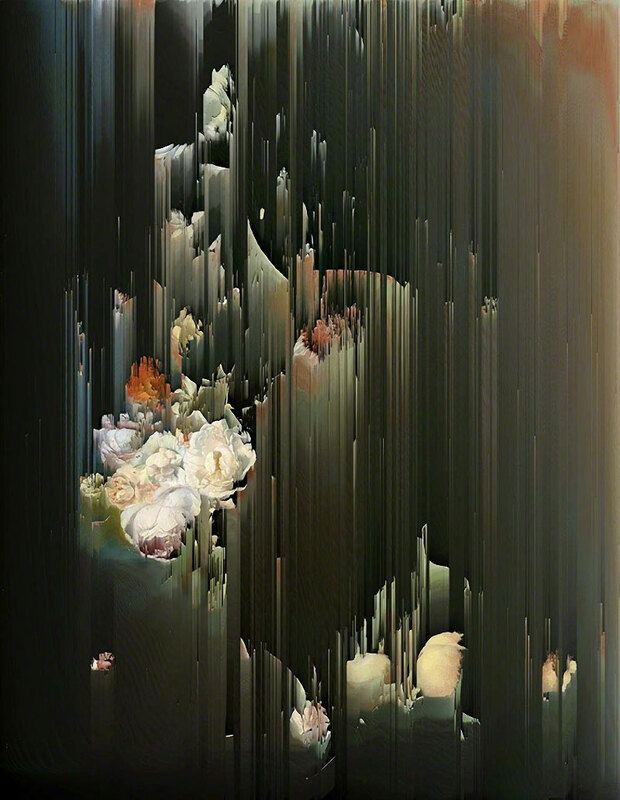 Gordon Cheung's works are available at Alan Cristea Gallery. 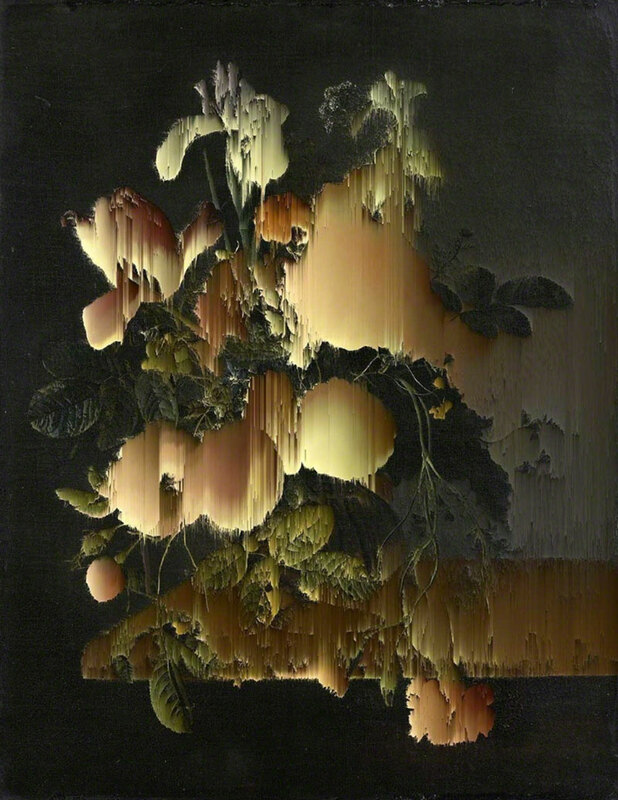 Photos of still life paintings executed in a trippy glitch aesthetic by London-based artist Gordon Cheung.